Of the 15 million premature babies born annually around the world, one million die within the first month of life, and many of the 14 million of these infants who survive have childhood respiratory problems followed by a lifetime of serious health complications. Respiratory distress syndrome, RDS, is the single most important cause of mortality and morbidity in preterm infants. The instillation of liquid surfactant into the lungs of babies following intubation or penetration of a catheter to instill surfactant is a traumatic and results in preventable complications. 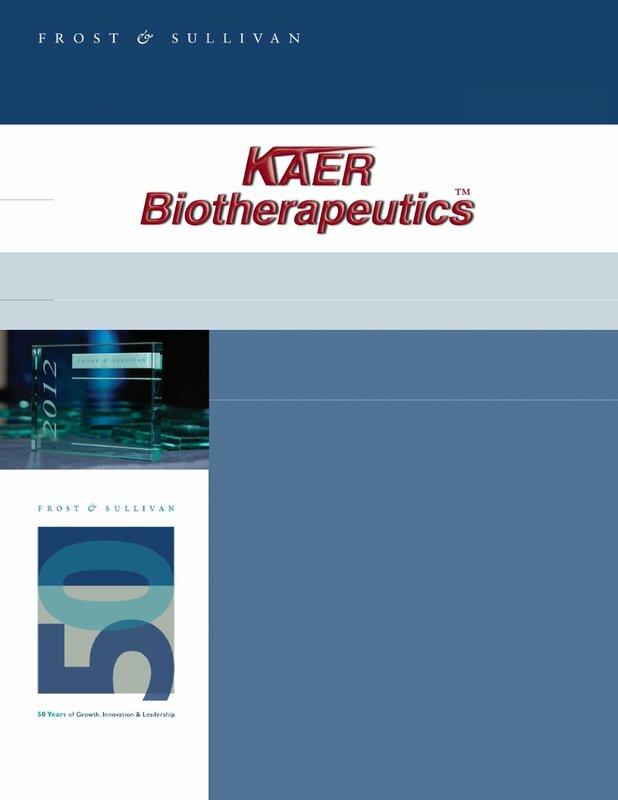 KAER Biotherapeutics has been awarded a Phase I SBIR grant of $0.3M from the National Heart Lung and Blood Institute of the National Institutes of Health “Non-Invasive Surfactant Aerosol Therapy for RDS” to demonstrate that delivery of lung surfactant aerosols to an animal model of RDS using KAER’s SUPRAER® technology can improve respiratory function. These studies will be conducted in conjunction with Professor Gregory Heldt, M.D. Success in these endeavors will provide the proof of concept for the non-invasive delivery of surfactant aerosols to prematurely born babies who have not yet produced enough surfactant to enable normal respiratory function. This SBIR award further expands KAER’s capabilities for providing lifesaving aerosol therapies for critically ill patients with debilitating respiratory function. This includes KAER’s production of a clinical device, SUPRAER-Clinic, to treat adult patients who have acute lung injury so as to prevent their rapid deterioration into acute respiratory distress syndrome, ARDS. ARDS has a mortality rate of 40%. There are no approved drugs to treat ARDS. This program is supported by a Phase II SBIR award of $2M from the National Heart Lung and Blood Institute. Professor Matthay, M.D, at the University of San Francisco is a co-investigator of the project. Dr. Yeates, CEO of KAER and the Principal investigator of both of these NIH awards affirms that KAER is committed to saving lives in both neonates and adults in respiratory distress while reducing heath care costs in the short and long term. Further applications of KAER’s SUPRAER’s technology include the treatment of idiopathic pulmonary fibrosis, hospital acquired pneumonia, NSCLC and other respiratory diseases. Yeates, D.B., Surfactant Aerosol Therapy for nRDS and ARDS. (2019) In: ‘Inhalation Aerosols, Physical and Biological Basis for Therapy’, InformaHealthCare/CRC Press/Taylor & Francis, Third Edition. Eds. A.J. Hickey and H.M. Mansour. Chapter 21 327-342. Yeates, D. B. and Mortensen J. Deposition and Clearance, In: Murray JF, Nadel JA: Textbook of Respiratory Medicine, ed 3. Philadelphia, WB Saunders Company, Vol. 1. Chapter 15 pp 349-384, 2000. June 2018 KAER exhibited at Respiratory Drug Delivery, Tucson, AZ. Dr. Yeates presented "Augmentation of the Generation, Processing and Delivery of Surfactant and Macromolecule Aerosols with Heliox", 21 ISAM-Congress, Santa Fe, NM, June 3-7, 2017. Dr. Yeates presented "Aerosol Surfactant Replacement Therapy for Patients with Acute Respiratory Distress Syndrome" at the Life Sciences Summit, New York, NY, November 2-3, 2016. Dr. Yeates presented: "Generation of Respirable Particles from Surfactant Suspensions and Viscous Solutions at High Dose Rates", Drug Delivery to the Lungs, Edinburgh, UK, December 7-9, 2016. A potential new treatment for Acute Respiratory Distress Syndrome and Acute Lung Injury (ARDS/ALI) has been developed using an aerosolized surfactant. KAER has incorporated a new patent-pending nozzle technology into its SUPRAER® aerosol delivery platform. For the first time, surfactant aerosols less than 4 microns in diameter, can be delivered at 2 mg/second. In conjunction with negative pressure ventilation or incorporation of this technology into a ventilator would facilitate the delivery of a therapeutically-needed 1 g of surfactant aerosol to the patient’s deep lung in 20 minutes. This surfactant is targeted at replacing the inflammation-induced inactivated surfactant in these critically ill patients and reversing the resultant hypoxemia by reducing the surface tension in the deep lung, opening alveoli, resolving excess lung fluid (edema), decreasing the work of breathing, and thus improving gas exchange. KAER is working toward reducing the present mortality of these syndromes to considerably less than the current 43%. The SUPRAER technology can be used to aerosolize viscous solutions and suspensions of any drug. Using 20% solutions of polyvinylpyrrolidone, as a protein or drug surrogate, aerosols of less than 4 microns in diameter have been generated at output rates up to 4 mg/second. A typical 7-second inhalation would deliver up to 28 mg during each breath or a therapeutically-needed dose of up to 280 mg in just 10 breaths. This is game-changing for the rapid delivery of anti-infectives and anticancer agents to the lungs. KAER exhibited at the Society of Toxicology in New Orleans, March 14-16, 2016. KAER is a finalist for a 2016 Patrick Soon Shiong Innovation Award for its SUPRAER aerosol delivery technology. National Heart Lung and Blood Institute of the National Institutes of Health award KAER Biotherapeutics a Phase I SBIR grant “Aerosol delivery of Surfactant for ARDS” commencing September 1, 2015. Acute respiratory distress syndrome, ARDS, including acute lung injury ALI are of multifactorial etiology and afflicts 190,000 Americans each year and 18% of all ventilated patients. Despite sophisticated intensive care, the mortality rate ranges between 15 and 72% with a mean of 43%. Patients with ARDS have impaired surfactant function and continued inflammation-induced metabolism of surfactant indicating that a single treatment with surfactant is inadequate. Our target is to demonstrate that using KAER’s SUPRAER technologies, clinically relevant doses of surfactant aerosols can be generated and delivered within a short treatment period. The delivery of surfactant in a gentler, non-invasive manner would empower the clinician to provide improved life support and potentially a marked improvement in survival. KAER exhibited at the Association of Inhalation Toxicologist, Cambridge, UK, Oct 13-15, 2015. KAER exhibited at the Society of Toxicology, San Diego, March 20-23 2015. Dr. Yeates presented "Aerosol delivery of Biotherapeutics:New Technologies" at Drug Delivery Systems 2014, Suzhou, China. KAER exhibited at the AIT-ISAM joint conference "Inhaled Medications from the Bench to the Bedside: Preclinical, Clinical and Technical Considerations for 'First in Human' and Beyond" Princeton, NJ, 2014. KAER exhibited at the Respiratory Drug Delivery, Puerto Rico. Dr. Yeates presented, "A New Class of Aerosol Generation System for High Dose-Rate Aerosol Delivery of Biotherapeutics" at: Inhalation Drug Delivery, Berlin, Germany. Dr. Yeates presented a poster "High Dose Rate generation of fine particle aerosols of antibodies with SUPRAER compared to two mesh-type nebulizers." at Respiratory Drug Delivery in Berlin. KAER exibited at the ISAM conference in Chapel Hill, N. Carolina and Donovan Yeates presented the poster "Generation of Respirable Antibody Aerosols". KAER Biotherapeutics exibited SUPRAER at the 2013 Society of Toxicology Conference in San Antonio. Dr. Yeates presented "SUPRAER: A PLATFORM FOR HIGH DOSE RATE DELIVERY OF BIOTHERAPEUTICS" at Respiratory Drug Delivery, Phoenix, AZ. Dr. Yeates Presented "COMPACT HIGH OUTPUT RESPIRABLE AEROSOL GENERATOR FOR BIOLOGICS" at Society of Toxicology, San Francisco, CA . Dr. Yeates presented "New System for the Generation and Delivery of High Concentrations of Respirable Aerosols of Biologics and Large Labile Molecules at PepTalk in the Spray Drying and Emerging Technologies session, San Diego, CA. Dr. Yeates presented "SUPRAER: A New Aerosol Delivery Platform for High Dose-Rate Delivery of Biotherapeutics" in the Pulmonary Drug Delivery session of Drug Delivery Systems in Shenzhen, China. 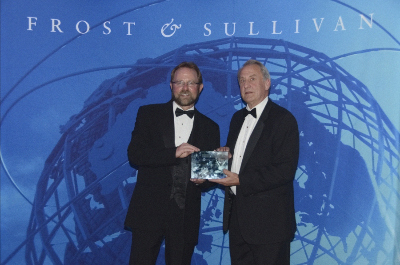 SUPRAER was launched at the International Society for Aerosols in Medicine in Rotterdam, NL.